Mary Lide Parker is a science writer, photographer, and videographer. She holds a B.A. in Photojournalism from the UNC School of Media and Journalism. Over the past six years, Mary Lide has worked with a wide variety of scientists, on both domestic and international projects sponsored by the National Science Foundation, the National Institutes of Health, NASA, and the Department of Defense. She has covered stories of research in geophysics, astronomy, biology, oceanography, and public health—to name a few. Mary Lide is an ardent explorer and always welcomes the opportunity to venture to a remote part of the world. 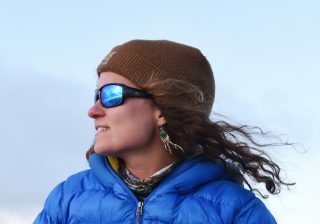 She has worked with documentary teams in Mexico and the Galápagos Islands, and has accompanied expedition teams to southern Chile, Belize, and the Antarctic Peninsula.